Have stylists bid to create a beautiful custom wig based on your specifications. 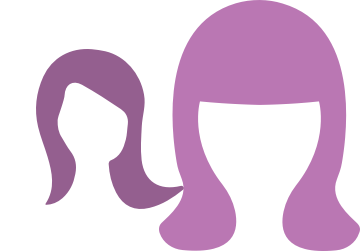 Wig Market is the first marketplace for custom made wigs. Become a listed seller quickly and easily! Bounce curls purple and black! The in style hair iSlay! All sellers undergo a verification process before elligible to serve customers. Your payment information is secure, and information being passed to Wig Market will remain safe. For custom wigs, payments are held in escrow until the product is delivered to the customer. Complaints may be issued within 5 days of receipt to freeze payment.